Mapping the abandoned roads of yesteryear. A stop at the corner of Underhill Avenue and Prospect Place in Prospect Heights will give the urban explorer a couple of unusual items to ponder over. 323 Prospect Place is turned at a diagonal angle to the street, as are 115 and 117 Underhill Avenue (at a somewhat gentler angle). An aerial view (visible at Google Maps) shows that adjacent buildings are also constructed with unusual angles. The angles on the buildings are tangible remnants of the old Brooklyn and Flatbush Turnpike, a colonial-era road likely built on a Native American trail, which reached from the waterfront to the heart of Brooklyn in what used to be the town of Flatbush. The road was straightened in the mid and late 1800s to today’s Flatbush Avenue, and the surrounding street grid was laid out and built at that time. Today, there are a few remnants of the original Brooklyn and Flatbush Turnpike, including a toll booth at the Willink Entrance at Prospect Park at Flatbush and Ocean Avenues; a monument on East Drive Prospect Park showing the spot on the Flatbush Road (as the turnpike was called in the 1770s) where patriots felled a large white oak tree in a futile attempt to delay onrushing British forces; and a short road called Amersfort Place in the Brooklyn College area, which was a bend in the turnpike that was later developed into a street in its own right after the straightening of Flatbush Avenue. The small angled cluster of buildings at Underhill and Prospect did not border on the old turnpike. However, before the overall street grid was laid out and constructed, property lines were established along the length of the turnpike, and these property lines now run at an angle to the street grid. Buildings constructed soon after the property lines could be oriented to the new street layout followed the lines established along the turnpike—and thus older buildings in this area are oddly angled. Very. It follows the path of a trail known in colonial days as Bloomingdale Road, which started at about where Madison Square is now, at 5th and 23rd (before these streets were mapped or cut through of course) continuing along the present path of Broadway to 86th Street, where it veered east, running between today’s Broadway and Amsterdam Aves. At 104th Street it again assumed Broadway’s present route until 107th, where it turned northwest until meeting the present path of Riverside Drive, following it to 116th. Here it turned northeast again, crossing Manhattan Street (today’s 125th Street) as Old Broadway. 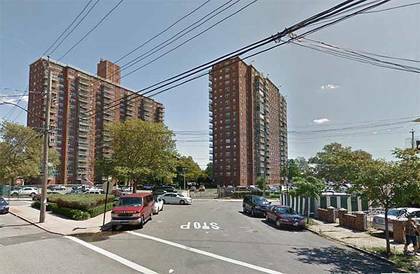 From 133rd Street it ran slightly east of the present Broadway to Amsterdam and 144th Street (today’s Hamilton Place is another remnant) and ended at St. Nicholas Avenue and 147th Street. As the area became more populated, and Bloomingdale Road was straightened and widened into the Broadway we know and love today in the 1870s, a bend in the road between 125th Street and 133rd Street was left over; this became Old Broadway. In the 1960s, Old Broadway was separated into two pieces by the Manhattanville Houses. The most significant structure on Old Broadway is the smallest one, Old Broadway Synagogue, incorporated in 1911. The present building dates to 1923. Amazingly, it is the only synagogue in Manhattanville or Harlem. Jewish populations held firm in Manhattanville decades after they had abandoned Harlem. All five boroughs are rife with such road remnants, which are either leftovers from a previous era before the existing grid was muscled on by city planners, or else the beginning or end of a once-lofty project to extend a road or make a parkway or expressway out of it. One of the most intriguing examples of this is Linden Boulevard. 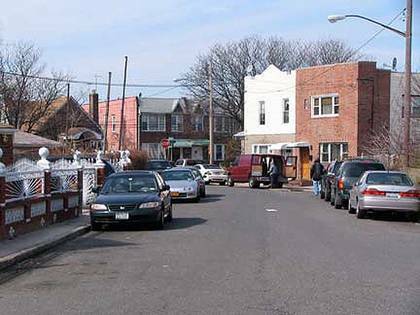 In the mid-1800s, this pedal-to-the-metal thoroughfare in East New York began as a modest two-lane road in Flatbush called Linden Avenue. However, the Borough of Brooklyn had lofty aspirations for it, only some of which were completed. The first change came in the late 1920s, when Kings Highway was expanded from the country lane running through farms that it had been since it was a Native American trail-turned colonial path. With the advent of the auto, it was expanded east of Ocean Avenue into an 8-lane highway, and it finally lived up to its name. At the same time, Linden Boulevard underwent an expansion east of Kings Highway, taking over the path of the now-forgotten Vienna Avenue and roaring east until feeding into Sunrise Highway (since renamed, in Queens, the Belt Parkway). But the city wasn’t finished with Linden Boulevard. Maps from the early 20th century depict it running further east, through Aqueduct Racetrack, and running all the way into Nassau County. Some of these ambitions were realized, some not. Linden Boulevard failed to materialize in Ozone Park except for two small, dead-end stubs: one, shown above, at Pitkin Avenue and Sitka Street; another dead-end on DeSarc Road; and a short through section between Cross Bay Boulevard and Centreville Street. The road begins in earnest again at Rockaway Boulevard east of the racetrack, and roars through South Jamaica, St. Albans, and Cambria Heights all the way to the Southern State Parkway. In the 1920s, an existing route called Central Avenue became Foch Boulevard, named for Ferdinand Foch, the commander of the Allied forces in the latter stages of World War I. The Foch name was then relegated to its western section, with the eastern part becoming Linden Boulevard, a name with which city planners were obviously in love. Bath Beach is a relatively placid region of Brooklyn, except perhaps on the 4th of July. It was here that Moe and Jerome “Curly” Howard worked building houses in the Roaring Twenties while they awaited their showbiz careers to take off—some of those houses still stood until about a decade ago. Like much of western Brooklyn, streets are named simply, with north-south numbered avenues and east-west numbered streets. A short road about a football field in length defies that arrangement, though. This half-block section of Avenue Y in Bath Beach, Brooklyn doesn’t even make most maps, between Bay 50th Street and West 16th Street. Avenue Y used to extend straight through to Stillwell Avenue as its partner Avenue Z still does, but the construction of the high rise complex seen here eliminated a portion of the avenue. Then, Avenues Y and Z are cut off from their eastern sections by the sprawling Coney Island Subway Yards. They resume at Shell Road and run east to Knapp Street, with Avenue Y gaining a short section in Mill Basin, as well. Such an incursion is possible because at this location, there are clashing street grids: the numbered “Bay” streets grid of Bath Beach meets the central grid of Flatbush, dominated by lettered avenues and “East” and “West” numbered streets. In Brooklyn alone there are about a dozen sets of numbered streets. 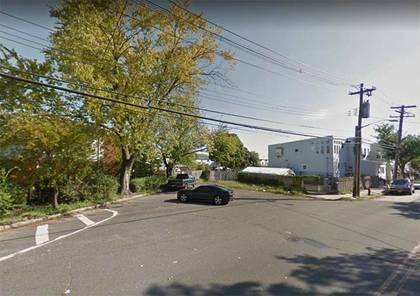 There are two Old South Roads in Queens that were once part of a very long road that ran from the Queens-Brooklyn border all the way to Laurelton, several miles east. Shown here is a once-block section that can be found between 76th and 77th Streets north of Pitkin Avenue in Ozone Park. A couple of miles east, past Aqueduct Racetrack, a second section appears running from Shore Parkway (a.k.a. Belt Parkway) at 124th Street east to 130th. You may have guessed by now that these two sections were once part of a much longer road, and indeed, a look at maps before 1925 or so show a continuous Old South Road from the borough line all the way to about 150th Street. Most of the road still exists. 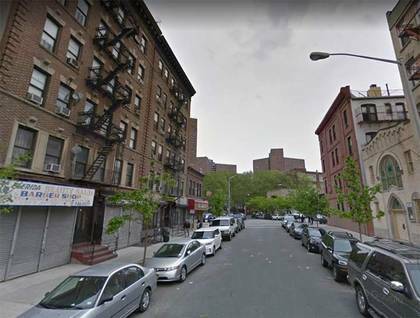 Some of it became Pitkin Avenue, some Albert Road; the section along the racetrack is now North Conduit Avenue; east of that, it became 130th Street and 135th Avenue. There are dozens and dozens of these abandoned roads and never-weres in the five boroughs. I’ve made it an ambition for the last twenty years to ferret them out. —Kevin Walsh is the webmaster of the award-winning website Forgotten NY and the author of the books Forgotten New York and also, with the Greater Astoria Historical Society, Forgotten Queens.